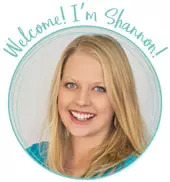 by Shannon Clark in Pay Off Debt | 15 comments | Contains affiliate links. 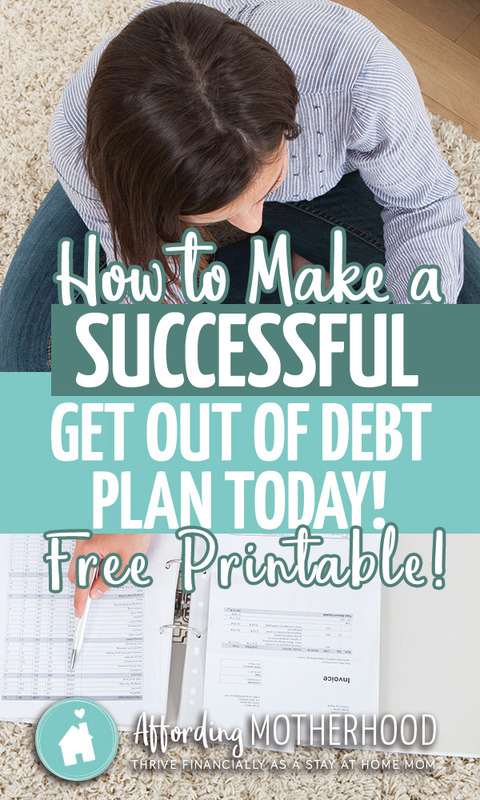 This is the simple 4-step get out of debt plan that helped us achieve family financial freedom at last! You see, we had tried to get control of our finances for years. We faithfully kept a budget every month, but nothing ever changed. We never seemed to move forward in our finances. There’d be the times where we would just give up and feel frustrated with living frugally but not seeing any results. In those times, we’d end up setting ourselves back even more with overspending. When we got bonuses, raises, or freelance work, we weren’t prepared with a plan, so that extra income quickly disappeared along with the opportunity to make a real impact on our finances. We were floundering and getting nowhere fast. I can tell you from experience, you can keep a budget YEAR after YEAR, and still never make one bit of progress toward improving your financial situation. It wasn’t until we finally put our plan into place that we started seeing major progress faster than we ever imagined. You can follow this same plan to make family financial goals that will help you to achieve family financial freedom, fast! What Financial Hack is More Important than Budgeting? 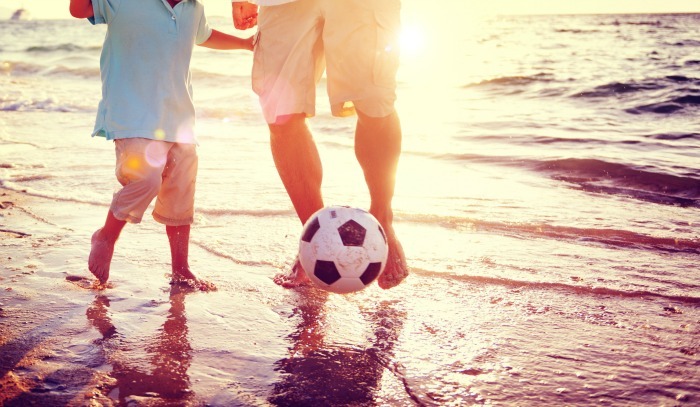 Making a financial goal for your family can actually be even more important than saving money. It’s more important than budgeting. Because if you don’t even know where you’re going, chances are very good that you will never ever get there. 1. Have a clear, specific goal. Very simply, find out exactly how much you need to save. If you haven’t been actively working toward your goal, then you might not know. I certainly didn’t before we started our get-out-of-debt plan. Just seeing it on paper (well on the computer screen) in cold black-and-white can’t-ignore-it-text did a lot to show us how crucial it was to change our financial situation fast. What Goal Should I Set? Everyone is in a little bit of a different situation, so of course, only you will know exactly what goal you need to set to bring you closer to family financial freedom. A good rule of thumb is to follow Dave Ramsey’s 7 baby steps. Set your goal for the single step that you’re on right now. Don’t try to think about all 7 at once! This means if you’re trying to get out of debt, find out how much you owe, and how long it’s going to take if you keep making that minimum payment. If you’re saving for emergencies, calculate how much you need to save, and how much you’ll be able to add to your fund each month. This is the time to think creatively about how to save money and how to earn extra money to help you reach your goals faster. It’s good to be realistic, but it’s also just as good to think big. You’d be amazed at how much you can save when you really set your mind to it. Also, write down why you want to accomplish this goal. Every time it’s feeling hard, you can remind yourself why it’s worth it, and that it’s only for a finite period of time. Break your goal down into bite-sized chunks, so you can see progress. It’s these quick little successes that will keep you marching right on toward your bigger goal. 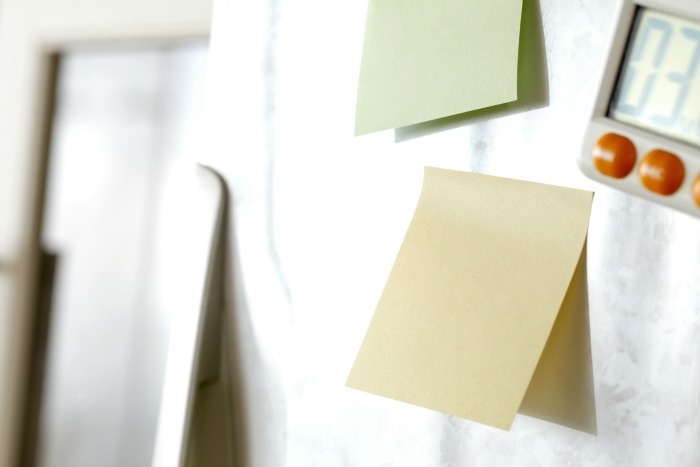 Checking off that first mini-goal can be extremely motivating to keep going and to get it done even faster. If you’re working on getting out of debt, then the steps would simply be listing out each of your loans in order from smallest to biggest. If you’re saving for an emergency, then you might list out how much you plan to save for each month. Making your plan to achieve family financial freedom is ultra simple. The challenging part of the challenge is actually sitting down and just doing it! Download this free Financial Goal Planning Worksheet. Steps to Get it Done! Post it somewhere everyone in the family can see it on a regular basis. Effective goal setting has been SO powerful to completely transform our finances, I hope you will try it too! This plan will finally take you from wanting to succeed with your finances to actually doing it! Today I challenge you to take that first step and get your complete financial goal down on paper. What financial goal are you committed to achieving? Share your story in the comments! Where can I send your free Financial Goal Setting Worksheet? If I owe 1,200 on a charge card and I have money in savings . Should I just pay it off or do I leave my savings alone? There would be money still in my savings even after i take a chuck out, what would you recomend? Hi Heidi! I love that you’re working on your financial goals! So, according to what I learned in Total Money Makeover, Dave would say you should use all but $1,000 of your savings to pay off your debt, and then start saving up for the 3-6 month emergency fund. You have to do what feels right for your family though. I wasn’t comfortable letting our savings go down that far with two little kids, so we hung onto more than just the $1,000, even though it meant that it took slightly longer for us to get out of debt. Hope that helps! Hi, I thought I would share a bit of my experience. My husband and I are farmers. Its in our blood and we want nothing else in life (for work). He is currently a journeyman mechanic and makes a good wage so I can stay at home with our 4 children and take care of the farm. We have a small farm, we started on 25 acres and a few months ago were able to purchase an additional 148 acres, allowing us to expand our cattle and hog herds. This is a very exciting venture for us, however, it comes with alot of debt. Our ultimate goal is to be full time farmers, but we still have a long way to go. Our goal date to acheive this is by 2024. This will take alot of faith and prayer to acheive this, especially after losing 5 of our 14 breeding stock this winter. I am so very thankful we didnt lose them all though. It will be a long road and a huge goal, but its very exciting for us. We get to live our dreams!! I’m praying right along with you for you to reach your goal even sooner than you expect! I love our local farms and farmers, they are such a blessing! You’re doing a great thing! I really hope you can make your goal as fast as possible. Stay committed and try to avoid further debt so you don’t fall further behind. Good luck. I’m starting from scratch, so my goal is “To have $1,000 in my savings account as an emergency fund by June 1, 2015.” My reasoning is that it will give me a sense of security and I have worked Dave Ramsey’s plan before (pre being a single mom) and believe in it, so this is the first step. My ways to get it done is to put extra money from my paychecks (small raise at the beginning of the year, but still living on last years amount) into savings as well as any child support or tax return money I receive. When I first started the goal setting process it didn’t seem reasonable to expect any of my goals to be met in anywhere less than a year and eight months. Then I started thinking, what if I got a little more creative with the spending, cutting, and locating of side jobs to help pay down the debt. I realized that if I could somehow find/make an extra $100 a week it would be possible to complete my first goal by the end of August 2015. Considering I was only looking at my Husbands guaranteed earnings and not at all at my own irregular earnings I think this is a doable goal and very possible in terms of steps to achieve it. Our goal is to get completely out of debt as quickly as possible. We have two debts remaining our property and our our student loans. Our smaller debt is our property and looking specifically at the steps to pay off our debt I realize that if we are extremely aggressive we can get it paid by September 2017, but I am hoping for even sooner than that. Our dream is to be able to build our home with cash after we become debt free. We also want to become debt free so we can serve God on a full-time mission one day. starting from scratch. First goal is to save 1000 by July 2015. Then we will tackle the snow ball debt repayment. Need to find ways to make more money, so will start looking into that now so that I can set up a goal for that come July. Im excited!!!! My goal is to have our credit cards and a small loan paid off by the time my oldest turns 16 which that is 4 years. I want to be able to then possibly double up on my mortgage payment and have the house paid off sooner rather than when I turn 60. I sometimes think my goals are crazy but I know that we can do this. I also know that I need to save a 3-6 month emergency fund which that will be put in somewhere once some of the cards have been paid down. I have a long road ahead but I know this is something that needs to be done. Thank you so much for such helpful posts. Quick question: we almost had 1000 in the emergency fund but then a few emergencies came up and we had to use about 800. Is our next step to rebuild that fund? Yes, that is your next step. Whenever we lose a step anywhere in the process, we need to go back and complete it again. Hi, I so appreciate your heart for getting out of debt. We currently have medical bills and recently increased our credit card debt. The medical bills I have been using the snowball effect. Unfortunately when I seem to get ahead, another medical expense comes up…but I’m not giving up. 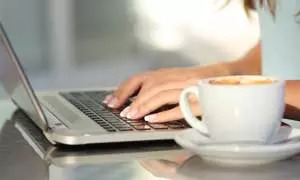 The credit card will not be used anymore, and I came to your site looking for additional income to get rid of both in less than 18 months. My goal is 18 months, but I’d like to get them paid off sooner. The blog idea is very interesting to me and I feel I could handle it. My road block is I’ve tried other home-based businesses and they have failed and I’m fearful this will too. I’m having a hard time coming up with a name that either hasn’t been used, or is accepted. My gifting is mercy and serving. Any suggestions? After reading your story, I feel so proud of you. Anyway, I divorced with my husband since my son 6 months. And I have many debts as I am single mother. Further, I have to support my mom as she is living with me. Therefore, currently I have two persons are under my financial supporting (son and mother). But I have been not paying my debts more than few months. Everyday, I feel so complicate as I have to look after my son every night and I am working at day time. Hence, I wanna die in sometime as I can’t pay off my debts. And bankers come to visit my house that I feel so embarrass with my neighbor. Anyway, I do not think I can pay off my debts as I am a single mother that I can’t have enough sleep and my brain become stuck when I got stress. I feel hopeless now and I have no idea to think about something to release my debts.